Freshersworld - The No.1 Portal for job posting in India. 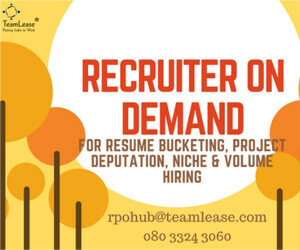 Post your job now and get 100 Hot Profiles instantly through RPE (Relevant Profile Extractor) Technology. 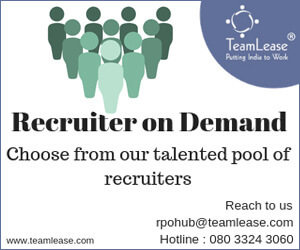 With our strong database of 1.5+ crore resumes we offer you guaranteed hiring in 4 days. 60K+ Employers Hiring through us.Join our happy hiring family now! Describe the job role in details with job responsibilities, skills, and other job descriptions. Do not include your contact details or walk-in info here. 50K+ Employers Hiring through us.Join our happy hiring family now! Post a Job & hire fresher in just 30 second. Freshersworld.com is among the top 10 free job posting sites in India where 1000+ companies have listed their jobs. We allow companies/employers/recruiters to post jobs free on our site and do the process of scheduling and interviewing the right candidates. Freshersworld brings quite simple and easy type of job posting subscription. 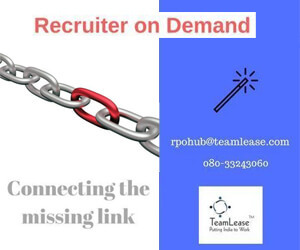 Recruiters can easily post the important details of the job, and manage views and responses received from the candidates for the listed job posting through online from response manager . Updating your jobs regularly will increase its visibility and freshers hire process by 3x . A simple end-to-end online automation tool help you to post job and review multiple applications promptly. Recruiters can do free job postings in 30 seconds and save time by managing your posted jobs and candidates at freshersworld. By posting jobs you will get access to our 1.5+ crore resume database so that you can search resume for free. From our "Post Jobs" page, employers will get so many advantages like, free job posting, view & search resumes, screen candidates, track & rate applicants and will provide 100% guarantee satisfaction . Now Freshersworld.com is mobile friendly too where you could do free job posting from your smart phones & get more results and candidates to your posted jobs. So post jobs on freshersworld.com and highlight your jobs to increase the visibility and responses on mobile devices . We have used very simple free job posting method where you can post job in 30 seconds , write few jobs description and post your job for free, if you want to do some more research on resumes, you can use our resume search application where you can review applications, manage candidates & schedule interviews for the qualified jobseekers. Freshersworld is one of the best online job posting site in all metropolitan cities across India, where recruiters can do job posting, resume search and screen the candidates based on particular locations like Delhi, Bangalore, Hyderabad, Chennai,Mumbai,Kolkata,Ahmedabad,Pune etc. Listing of contact No's, Email Ids or redirecting URLs on the job posting is strictly not permitted. It is mandatory to use the Freshersworld.com platform to schedule interview drives for the candidates (via E-Mail and SMS). I represent the organization on who’s behalf I have full rights and authority to post Job Opportunities. I only post legitimate work opportunities and all the facts and contents mentioned in the job posting are accurate and is not intended to mislead an individual in any fashion. I give FreshersWorld.com full right to remove my posting without any intimation or notice in case it is found that the posting is inaccurate or incorrect or misleading or not a legitimate job opportunity or has adult content. FreshersWorld.com is a platform for Posting Job opportunities and by no means FreshersWorld.com guarantee that I will find the candidate I am looking for or the response I am expecting. I will be completely responsible for the content and nature of my job. Any content in part or full leading to sexist, racist, misogynist language, discrimination by means of gender or age or educational institutes gives FreshersWorld.com full right to remove the Job Posting without any intimation. FreshersWorld.com conduct online or offline assessment known as “CEAT” of candidates to understand and gauge their technical and communication competency. These assessments are part of FreshersWorld.com’s Premium Services. FreshersWorld.com does not conduct “CEAT” assessments for a specific corporate unless asked specifically to do so. “CEAT” assessments are conducted on a periodic basis and any candidate could decide not to be assessed. A good “CEAT” score acts as a first level of filtration while shortlisted profiles. All the details regarding the job role, service agreement etc..., should be clearly stated in the Job Description.